Dave Majumdar, National Interest: Who Attacked a Russian Military Base with a 'Swarm' Strike? Russia is pointing fingers in all directions as it attempts to decipher who, exactly, attacked the Khmeimim air base and Tartus naval base in Syria by deploying a massed flight of what appear to have been home-made GPS-guided drones. The coordinated attack marks the first time that drones have been used en masse—and may well mark a dangerous new moment in the history of technology and warfare. 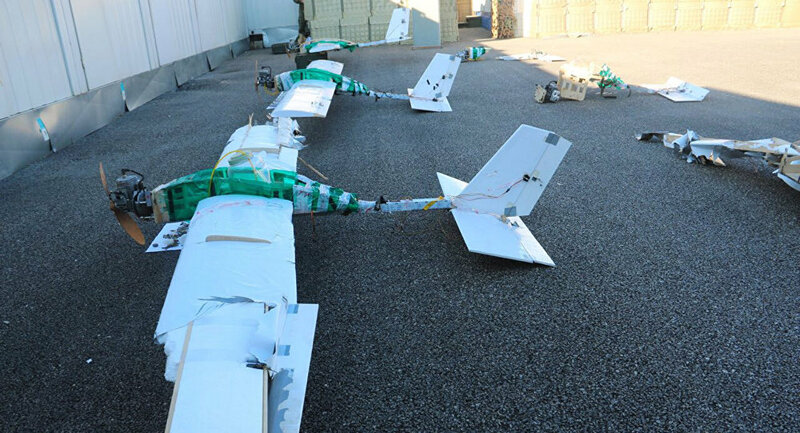 None of the thirteen bomb-laden drones made it to their targets—the Russians repelled the makeshift unmanned strike aircraft either by using anti-aircraft missiles or by intercepting them with electronic warfare to take them under direct control. In addition, Russian television is showing extensive footage of Russian attacks on the village of Muazzara from whence the drones were fired. WNU Editor: Some in Russia are pointing at Ukraine .... Russia Offers New Details About Syrian Mass Drone Attack, Now Implies Ukrainian Connection (Warzone/The Drive). But from what I am reading, I do not think the Russian MoD knows who really did it. But what they do know was that there was a very serious attempt to destroy/disable a number of their warplanes at their airbase.